Happy Monday! I hope you’ve had a great weekend? To kick things off this week I have a fabulous new fragrance to share with you from Dsquared2 – their latest scent, Want Pink Ginger follows on from the original ‘Want‘ released earlier this year. 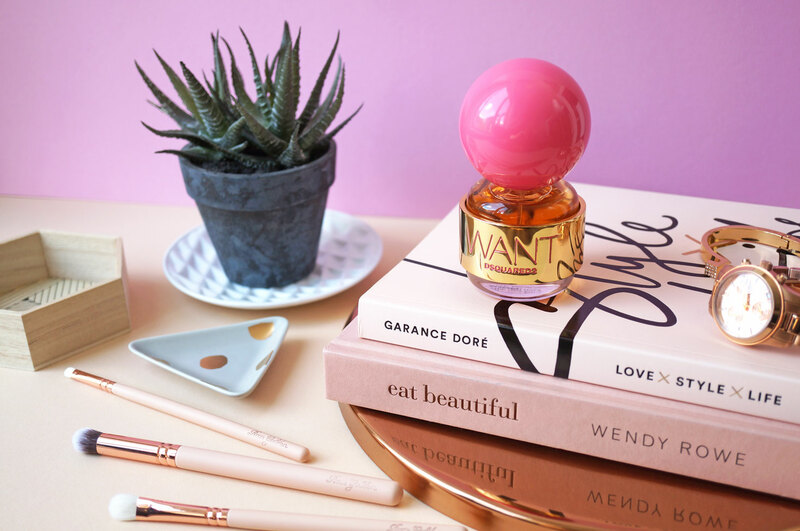 Want Pink Ginger is dedicated to the multi-dimensional side of women – described as a sassy and vivacious, it comes in a distinctive bottle with a large pink spherical lid – this fragrance definitely stands out from the crowd! 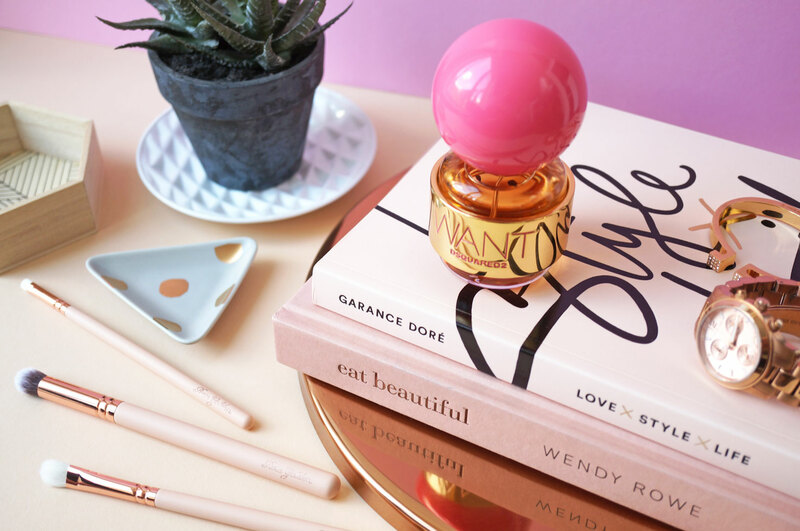 Want Pink Ginger is a truly beautiful fragrance, opening with distinctive Pink Ginger, Pink Pepper and citrus notes of Lemon and Tangerine – it’s a very girly, sweet scent on first application. The floral heart includes Damask Rose, Heliotrope and Neroli, leading to a warm and feminine base of Madagascar essence, creamy Vanilla, Violet and Amber. This is a fabulous go-to every day fragrance that would suit someone looking for a glamorous, edgy and feminine scent. An oriental floral with an unusually fresh and vibrant personality. Everything revolves around pink ginger, a delicate, spicy ingredient found in Japanese cuisine. The nose, Aurélien Guichard, created the new Eau de Parfum for Dsquared2 based on this delicious concept: an ingredient that truly changes each and every flavour. Top Notes: Pink Ginger, Mangosteen, Pink Pepper, Lemon and Tangerine. Heart Notes: Damask Rose, Heliotrope and Neroli. Base Notes: Madagascar Essence, Vanilla, Violet and Amber. Dsquared2 Want Pink Ginger EDP is £56.00 for 50ml and available now exclusively at Harvey Nichols.